After the Lewis and Clark Expedition opened America to those seeking fortune, pioneers did not hesitate to go after the benefits of this new, vast and opportunity-rich land. They arrived by the thousands, following, among other routes, the now-legendary Oregon Trail. Trail towns sprang up all along the way, paired with settlements wherever gold or other valuable resources were found. 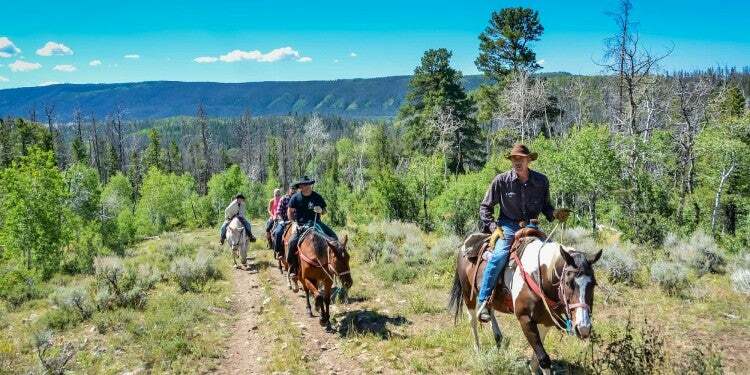 Many of those once-thriving pioneer towns were deserted as transportation evolved and trails changed, but their legacy still stands today. Nowadays, several dozens of them still dot the Oregonian landscape. 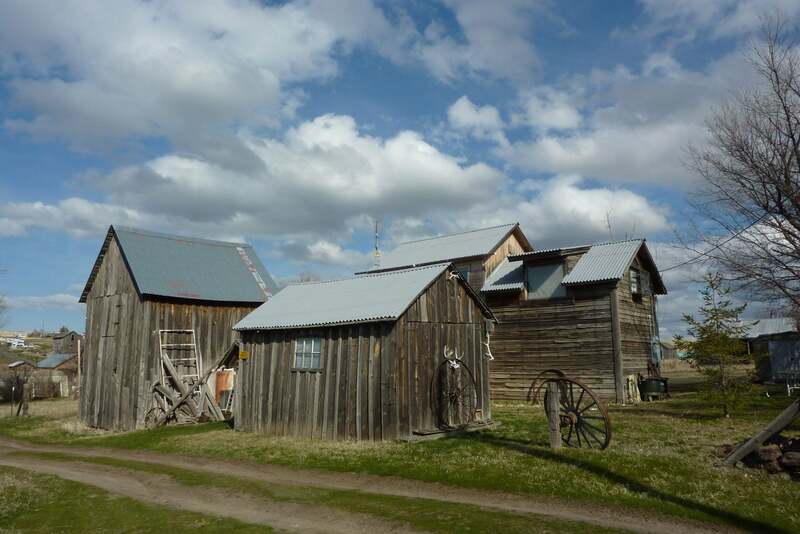 Most ghost towns in Oregon are in Central, Eastern and Southern Oregon. What Is A Ghost Town Exactly? 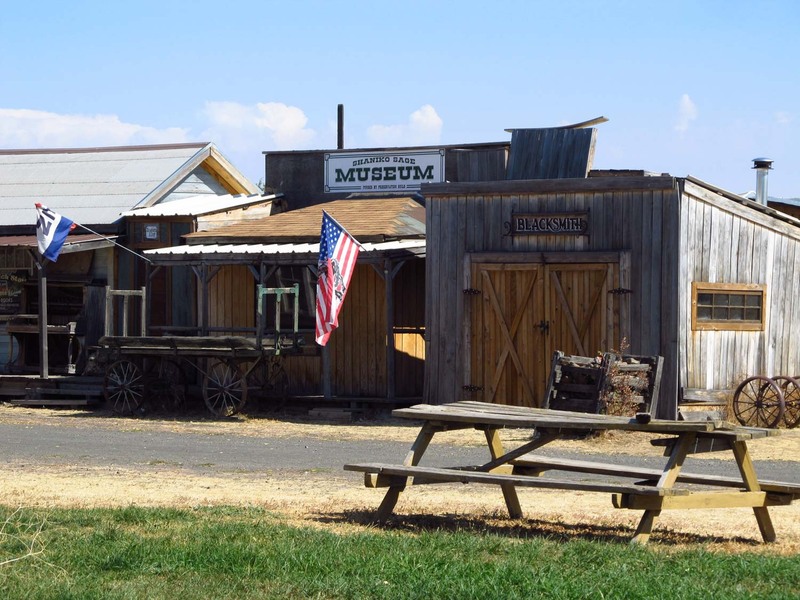 According to Travel Oregon, there are three different categories of ghost towns in Oregon. The true ghost towns are those without anyone living there anymore, while partial ghost towns have a population that has declined to extremely low numbers. 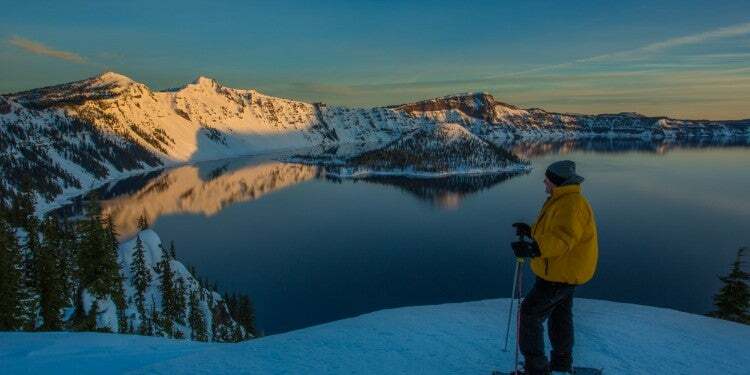 The third category covers tourist ghost towns, which while preserving their historic features, have become tourist attractions and fun places to visit during an Oregon camping trip. These vestiges of Oregon’s pioneering history are fascinating destinations to learn about the Old West. 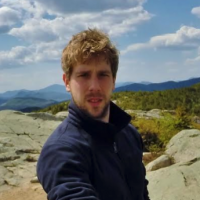 Ghost towns, or what remains of them, are like time machines, offering a wonderful insight in the hardships of frontier life and on the history of the United States in general. Additionally, especially around Halloween, they make for super-fun options for camping road trips with the kids. 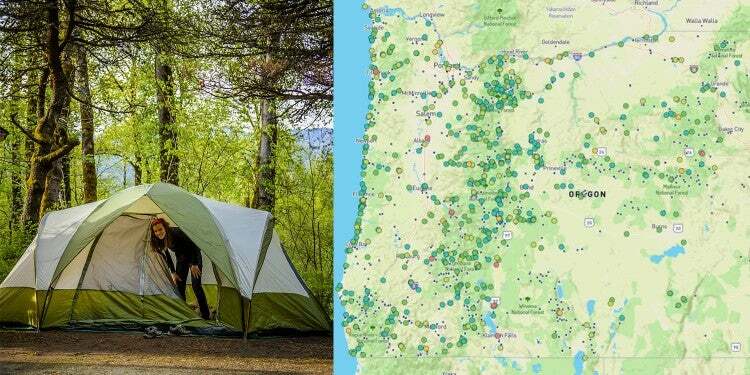 Camping in Oregon is possible virtually everywhere in the state, meaning you’ll find a nice spot to set up camp near these ghost towns. A mining boom town in Baker County around the turn of the 20th century, Sumpter is one of the best examples of Old West towns in Oregon. In 1897, the new narrow-gauge Sumpter Valley Railway resulted in rapid urban growth around a collection of deep-shaft gold mines. Before an eventual decline in population caused by a fire, the town had everything from saloons and a brewery to an opera house, churches, sidewalks and electric lights. Nowadays, about 200 people still live in Sumpter. 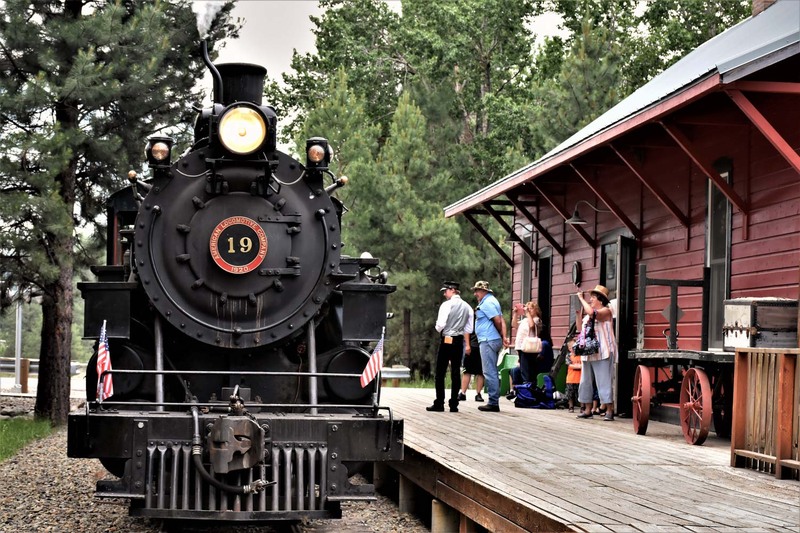 It’s a wonderful place to experience the bygone days of gold mining and the railroads. One of its main touristic highlights is the opportunity for tourists to legally pan for gold. Rides on the historic Sumpter Valley Railroad, offered on select days, are popular as well. 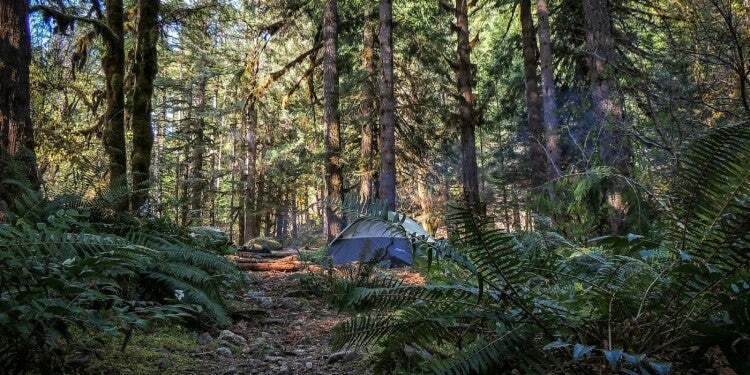 “This is a beautiful, clean campground. Tons of undergrowth which makes for very private spots. Spots along Union Creek are great, spots on the river are great, even the spots in the open aren’t bad amongst the towering trees.” — The Dyrt camper Chantelle M.
The historic town of Granite lies just 15 miles north of Sumpter, in the ghost town-dotted Blue Mountains region of northeastern Oregon. This is yet another former gold-mining town, once bustling and now nearly deserted. During the gold rush of the late-1800s, Granite’s population numbered about 5,000 people, quite a high number in those days. At the turn of the 20th century, there were five saloons, three general stores, two hotels, a drug store, a post office, a school and a livery stable. The current population doesn’t exceed 40, however, making it one of Oregon’s least populated incorporated towns. Numerous buildings still stand, although most of them are in a less-than-ideal condition. You can still see the drug store, school building, one of the general stores and several former residences. 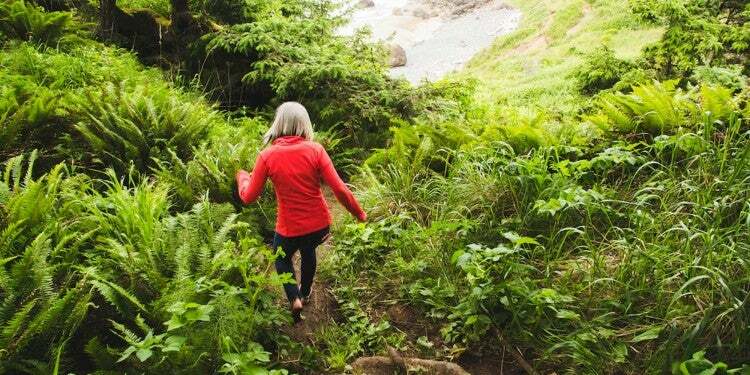 “Have camped here twice, once when I was a kid, and once this summer, and it’s wonderful. 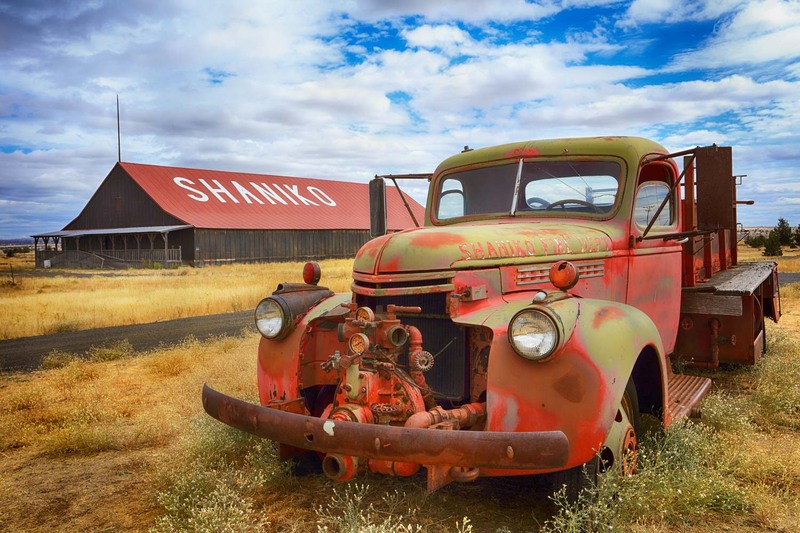 Most spots feel secluded and private, and if you get there on an off-day, you can get a good one with water access.” — The Dyrt camper Sarah E.
Another tourist-friendly ghost town in Oregon is Shaniko, located on the plains of North-Central Oregon’s Wasco County. The tagline on its website says it all: “Where the West still lives.” It’s one of the best-known ghost towns in Oregon. After a lucky prospector discovered gold in Canyon City in 1862, camps began popping up along the route between The Dalles on the Columbia River and Canyon City. One of those camps was Cross Hollows, where a man named August Scherneckau was postmaster. The town’s name is a derivation of the postmaster’s last name. Shaniko’s heyday was in the 1900s’ first decade, when the Columbia Southern Railway made it a real transportation hub. At the time, it was known as the “Wool Capital of the World”, the focal point of the wool, cattle, wheat and sheep industries in a 20,000-square-mile area. After a new railroad linked Portland to Bend, the town started to decline. Currently, only about 30 people live there year-round. “A gloriously tucked away, all-year campground on the confident, adventure-inducing Deschutes River. Provides a nice balance of openness and privacy, with good space between a lot of sites, a chatty, rapid-filled river to muffle noise and high cliff walls and hills on all sides. 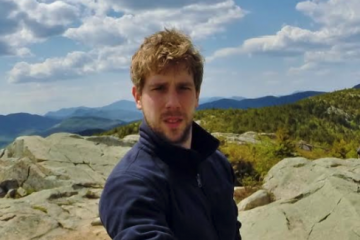 […] Great walking and hiking, Mt. Hood and other tall peaks in view as you drive around and plenty of rafters and fisherpeople to give everything a well-rounded, sanctuary feel.” — The Dyrt camper Bjorn S.
In the vast farming country of northeastern Oregon lies Hardman, once a popular stopping point for stagecoaches. Late-19th century newspapers touted these Oregon grasslands as some of the best farming areas and stock ranges in the West. This, of course, attracted numerous hopeful pioneers, among whom was David N. Hardman who arrived with an ox train in 1878. He founded a settlement and became postmaster of a post office bearing his name. The settlement grew into a thriving Oregon Trail town as more and more settlers arrived. In its heyday, in addition to the post office, it was home to two hotels, three general stores, a saloon, a barbershop, a newspaper, schools, two blacksmiths, a telephone office and a church. It wasn’t until the railroads and eventually automobiles and trucks became the most popular modes of transportation that Hardman’s days of prosperity were over. Today, the town remains home to about 20 permanent residents, while several old, abandoned buildings still stand. 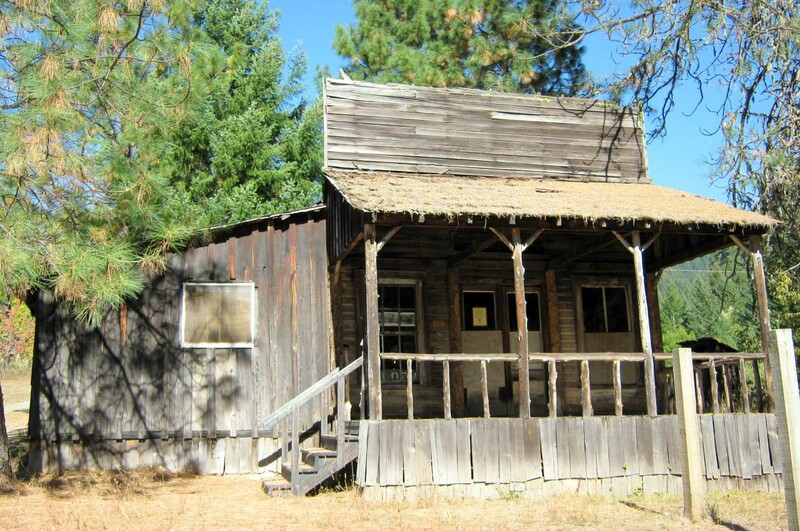 “A wonderful place to unclutter your mind and renew your spirit!” — The Dyrt camper Jill S.
One of the true ghost towns in Oregon, now completely abandoned, Golden was established during the 1840s gold rush. 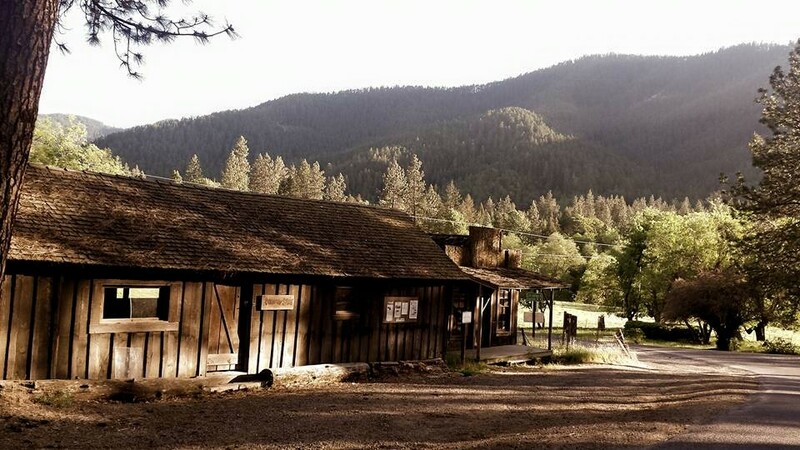 At first a simple mining camp on Coyote Creek in southwestern Oregon, it eventually developed into a town around 1890, a hub serving the people working in more remote places nearby. At its height, more than 150 people called Golden home. There was a church, a post office, a large orchard and a general store. However, unlike many other mining towns, it distinguished itself by not having any saloons. Golden is blessed with a beautiful location in peaceful woodlands and has its very own historic district—the Golden State Heritage Site. You can explore the four remaining structures: a residence, shed, church and the building that housed the store and post office. “It is located close to I-5, so it is easy to get to. There are some really nice sites by the creek. It is quiet, has beautiful scenery. There are some sites with full hook ups. There are only outhouses and no showers, so that’s why it’s good if you’re only staying a night or two and are tent camping. We have camped here a couple of times and it hasn’t disappointed.” — The Dyrt camper Sherry C.
In Jackson County, Southern Oregon, sits Buncom. 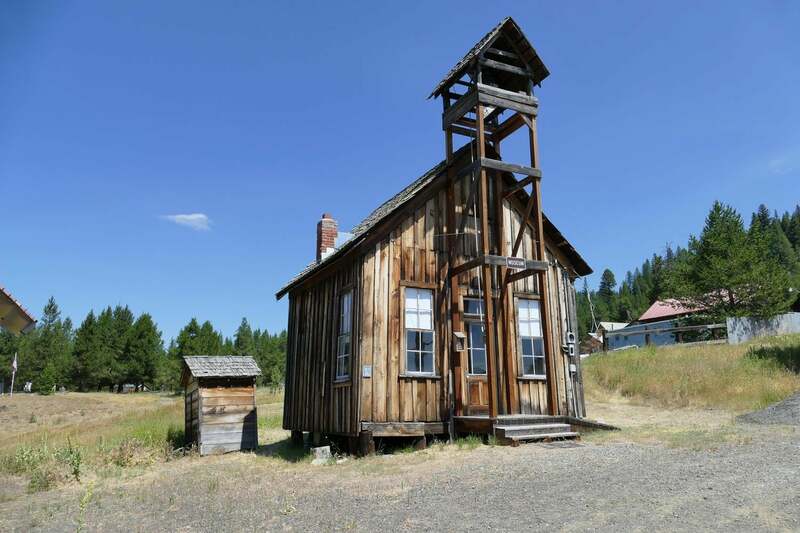 An abandoned mid-19th century mining town, this is one of Oregon’s best-preserved ghost towns. Now uninhabited, it was founded in 1851 by Chinese miners after gold was found in Jacksonville and Sterling Creek. In addition to gold, the area’s mines yielded silver, chromite and cinnabar as well. The town had its own saloon and general store within a decade of its founding—two significant indications of a settlement’s success. A post office was added in 1896. Besides gold miners, Buncom also attracted farmers, ranchers and loggers. Only three buildings from those prosperous days survive today. The bunkhouse, post office and cookhouse are now protected and preserved by the Buncom Historical Society, which organizes an annual event called Buncom Day for fundraising efforts. “This is truly an Oregon gem. Swimming, non-motorized boating, fishing, hiking, trail cycling, you name it, this place has it. Pack-in/Pack-out, with the option to hire the camp host and his four-wheeler to drop your gear off at your site. You’ll have to walk in. The water has the most beautiful silver shale sparkles, and almost always feels warm.” — The Dyrt camper Jennifer A.